City Hall School is an Inquiring Minds Site. It provides a week long, inquiry based, hands on learning experience for Grade 1 – 12 students who learn that this landmark building is not just the home of civic leadership but also a gathering place for the community. The vibrant downtown core provides endless possibilities for connecting students to their city, curriculum and career pathways. As the week progresses students, teachers and parent volunteers come away with not only an increased sense of civic pride but also a richer understanding of the services that the City provides to meet the needs of Edmontonians. The week itself is a catalyst for a year-long connection with City Hall. Students receive their City Hall School journals and Key to the City in September and start making connections through the theme that the teacher has developed for the class. The Coordinator provides teacher training and works with the teacher to plan activities tailored to suit the class. The annual Citizenship Fair in June provides an opportunity for students to showcase and celebrate their year. 25 teachers and their classes were selected for the 2018/2019 school year. 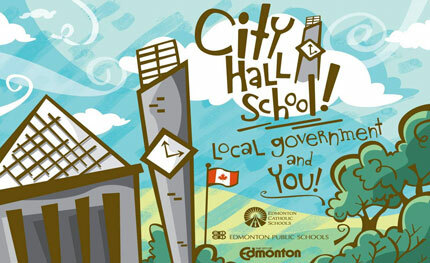 Applications for 2019/2020 City Hall School began in spring 2019. Find more information about site-based education by visiting Inquiring Minds. 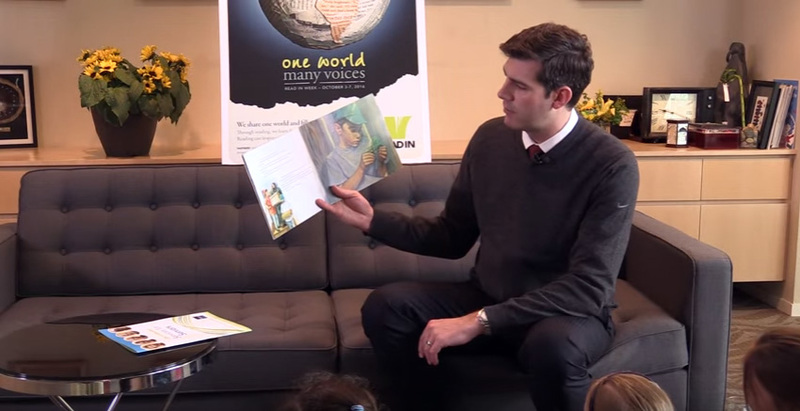 A collection of stories read by the Mayor of Edmonton, Don Iveson. Partnership offering teachers an opportunity to move their classroom to a site for hands on, multi-sensory learning. A weekly eNewsletter designed to connect City Hall School students with the City Hall School Site Coordinator throughout the year. Hear what students think about their time at City Hall School in this short video clip, generously provided by Shaw TV.